Moisture is the key to healthy, youthful skin! 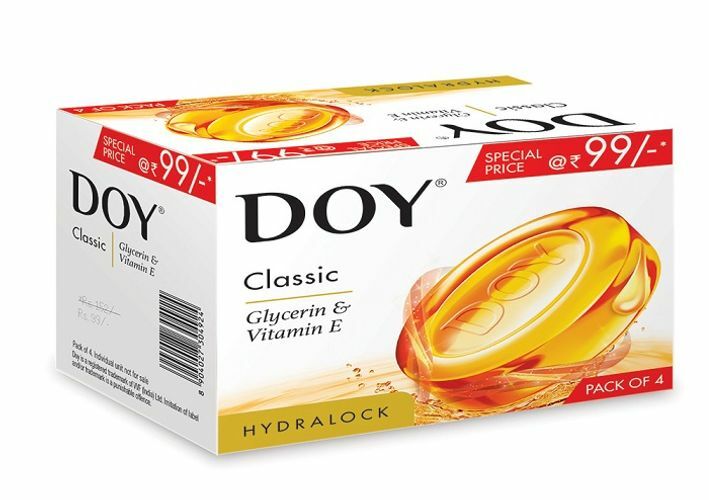 DOY's Vitamin E-enriched Doy HydraLock series of Glycerine Bathing Bars help to bring back lost moisture and lock it in, thus giving your skin better, longer-lasting moisturisation. Additional Information:Manufactured and marketed by VVF which is an Indian multinational organisation, well established in the Personal Care industry, DOY mission is to help you discover and connect with your natural selves, thereby unlocking your real beauty. Doy knows that what goes on your body is as important as what goes in your body, and that's why they have created a range of products that offer the experience and benefits of pure, natural ingredients which help nurture and nourish your natural beauty.